You guys know I am a massive coffee fan, and drink copious amounts, but I had never tried a coffee body scrub before, I know right, I'm not sure why either. I like a scrub as much as the next person but can sometimes find them a little harsh and drying, so wasn't expecting much different with the Soma* one, but boy was I wrong! I have never used a more moisterising scrub, ever! Quite a statement I know, but this scrub leaves my skin feeling so moisterised, I mean seriously moisterised. 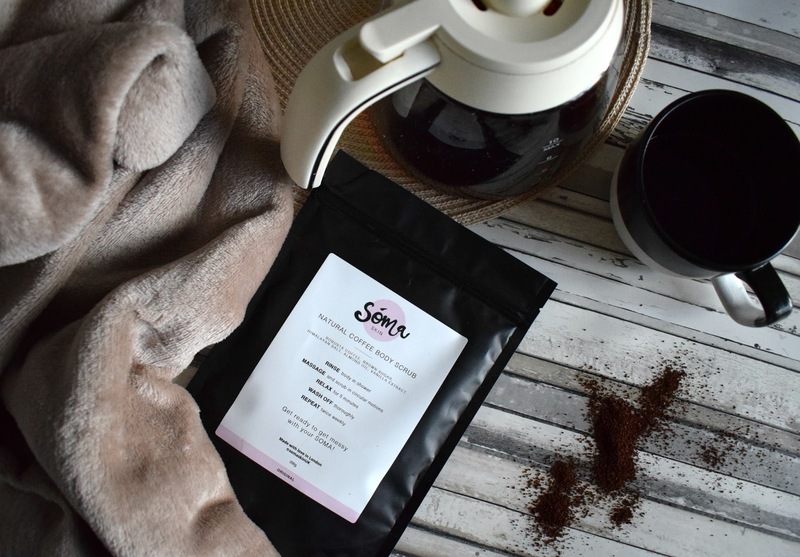 Soma coffee scrub not only contains ground robusta beans to buff the skin but also almond oil to really penetrate adding much needed vitamin E, to soften and soothe dry skin. The packaging is practical and sleek and is resealable making it perfect for taking in the shower. 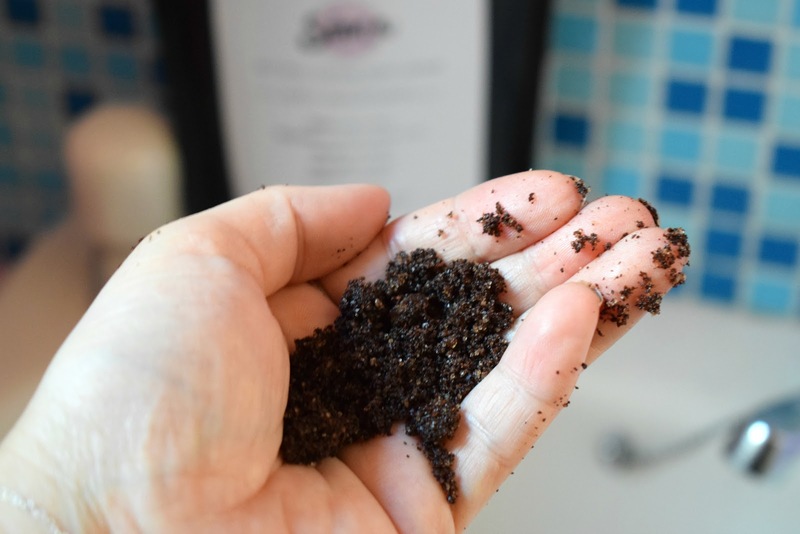 Once opened the scrub smells amazing, not only of coffee but a hint of sugary vanilla, what more can you want from your shower in the morning. Soma is a small business available to purchase on Etsy, who hand make the scrubs to order, meaning they contain only natural ingredients. so not only are you purchasing a gorgeous natural product you also supporting a small business.